Sister Jane Gerety, former senior vice president of sponsorship at Saint Joseph's, worked at the health system from 1992 until 2009. She now lives in Newport, Rhode Island, and serves as the president of Salve Regina University, an institution within the network of universities and secondary and elementary schools sponsored by the Sisters of Mercy. Jane Gerety was born in White Plains, NY, and moved with her family to Washington, D.C. at the age of four. She first met the Sisters of Mercy as a student at Holy Trinity High School in Georgetown. "The Sisters operated the school, and they were strong, independent and intellectual women. They influenced my decision to enter the Sisters of Mercy in Baltimore," she says. Sister Jane then attended Mount Saint Agnes College in Baltimore, a college sponsored by the Sisters of Mercy. She earned a bachelor's degree in French there, followed by a master's degree in French from Middlebury College in Vermont and a PhD in English from the University of Michigan. Sister Jane's educational ministry includes teaching at middle and high school levels in Maryland and in Alabama. She then served as professor of English, director of the public leadership program and eventually as academic dean at Carlow College in Pittsburgh, also sponsored by the Sisters of Mercy. Although Sister Jane was immersed in the field of education for many years, she quickly transferred her skills to health care. Saint Joseph's asked Sister Jane to serve as senior vice president of sponsorship when Sister Michelle Carroll retired. "When there is a need, the Sisters of Mercy think hard about it, and always say yes," she notes about her commitment to the health system and the Sisters' willingness to always undertake new responsibilities. During Sister Jane's 16 years at Saint Joseph's, her strengths enabled her to assume increasing responsibilities in the ever changing world of health care. She brought the values of the Sisters of Mercy as strategic decisions regarding potential partnerships between the hospital and various others were being weighed. "Although some of my job included working on partnerships, my role expanded to human resources, marketing and the broader health system," she describes her leadership at Saint Joseph's. In addition to serving as senior vice president of sponsorship, Sister Jane also held the title of chief compliance officer at the hospital. "It was an honor to work at Saint Joseph's, because there has always been a strong sense of compassionate care and dignity not only for patients but also employees. This is still true today," she says. During her years in Atlanta, Sister Jane served as a board member of Saint Joseph's Health System as well as its subsidiaries--Saint Joseph's Hospital of Atlanta, Saint Joseph's Mercy Foundation, Saint Joseph's Mercy Care Services, Saint Joseph's Translational Research Institute, Saint Joseph's East Georgia, and also the boards of Saint John's Mercy Medical Center, St. Louis; Mercy Housing-Southeast and Project Adventure. 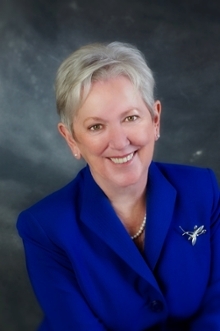 In addition, Sister Jane had been serving as a member of the Salve Regina University board of trustees when, in 2009, the board selected her as the 7th president of the institution.